What is Dermabrasion and how does it work? 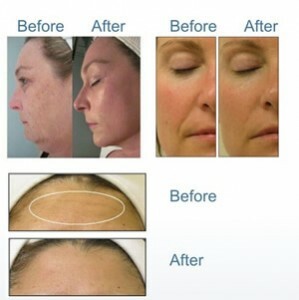 Dermabrasion – the latest in skincare technology. Dermabrasion utilizes the natural healing powers of diamond crystals, water and oxygen to effortlessly exfoliate the skin generating deeply hydrated and healthier looking skin. Dermabrasion takes its name from the word ‘hydrate’ meaning to ’cause to take up moisture’. This ability to actively moisturise the skin during the treatment process sets it apart from all other skin resurfacing procedures available, such as traditional microdermabrasion, chemical peeling and laser/IPL treatments. Dermabrasion have created a unique dermabrasion applicator combining diamond dermabrasion with hydrodermabrasion in a hand held nozzle that works by utilizing diamond crystal heads and a high velocity jet of water combined with oxygen. This completely natural combination of diamond tip and micro droplets of water is dispersed from the nozzle at high speed, striking against the skin and thereby removing any dead skin cells with little effort and absolutely no pain to the client, the diamond crystal tips helps to deeply exfoliating and rejuvenating the skin. Dermabrasion treatments are highly effective in improving the skin’s texture, reducing fine lines and wrinkles, and giving deeper hydration to the skin. Blood circulation is improved which leads to greater collagen production and thus skin tone improvement. Other skin related conditions that may be improved by dermabrasion treatments are scarring, acne, unwanted pigmentation, blackheads and puffy eyes. Supplements and nutrients can also be administered using the system.